WordPress is the most popular platform and it powers nearly 20% of the websites today. A number of newly created websites using WordPress are growing each day. The amazing WooCommerce and WordPress together make a perfect platform for the large and small storekeepers anywhere. 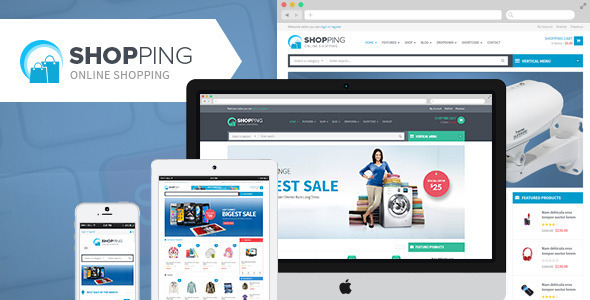 So, we have listed below Best 5 E-Shop WooCommerce Themes & Templates for your convenience and tried to include it for you to choose. 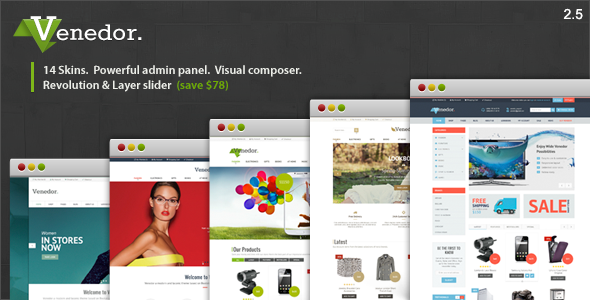 And we can guarantee you that these themes are all good quality for use for your E-shopping purpose. 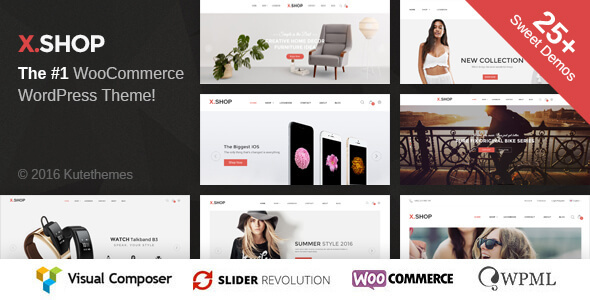 X-Shop is a modern, clean and professional WooCommerce WordPress E-Shop Theme. It is fully responsive, it looks stunning on all types of screens and devices. It is super for fashion shop, handmade shop, accessories shop, glasses shop, electronics shop, furniture shop… or any other categories. 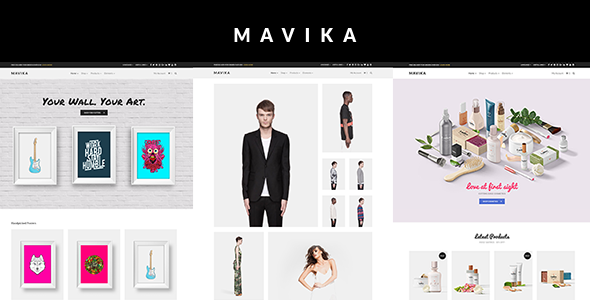 Mavika is a flexible WooCommerce e-shop theme which provides all the tools needed to create an online shop of any size. A carefully selected set of customized options will help you set things up in no time. Mavika provides a “Catalog Mode” option that lets you build a product catalog. Once you’re ready to set your prices, it’s a matter of deactivating one option and your online store will be live. Premiumo is an E-shop WooCommerce template as a gift for our beloved customers. With an elegant and modern design style, Premiumo has all things you need and take user’s hearts. You can use this theme to display clothes, shoes, jewelry, electronics or sports for your store. Especially it is compatible with any kinds of devices such as a laptop, iPad, smartphone or larger screens. With a powerful framework, Premiumo is full of rich features for your business. You can easily customize theme via Live Theme Editor, display products with vertical menu professionally. 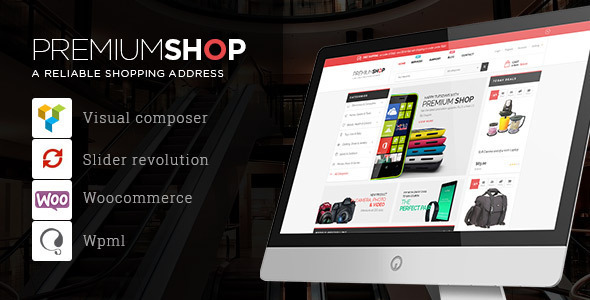 Shopping is a WooCommerce Responsive WordPress E-Shop Theme suitable for any kind of Fashion Shop, Mobile Shop, Computer Store, Hightech Store, Gift Shop, Electronics shop and all kinds of marketplace business that needs a feature rich and beautiful presence online. This theme supports many great tools to customize theme via using Live Theme Editor, auto loading custom CSS files support you creating unlimited of theme profiles without code very easy and simple and a lot of great features you will love. Also, it has Megamenu and Vertical Menu, which can help you to create a powerful and a rich menu on your site. Venedor is Ultimate E-Shop WordPress + Woocommerce template that is extremely customizable, easy to use and fully responsive. Suitable for every type of business, portfolio, blog and eCommerce sites. Great as a starting point for your custom projects. Venedor includes 14 different layouts and skins and it is very beautiful on mobile devices.